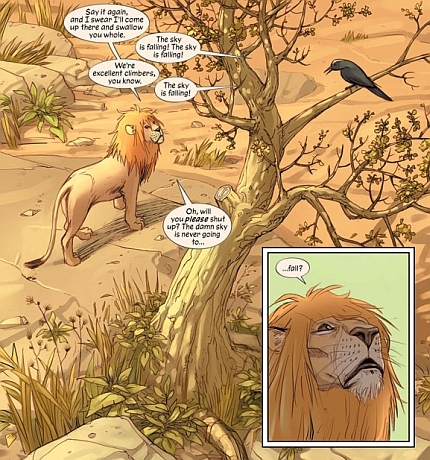 I’ve been re-reading Brian K. Vaughan’s Y: The Last Man over the last week or two, in preparation for the last volume to come out. (It shouldn’t be much longer than another month or so.) In the last few years, Vaughan has become one of my favourite comic writers. 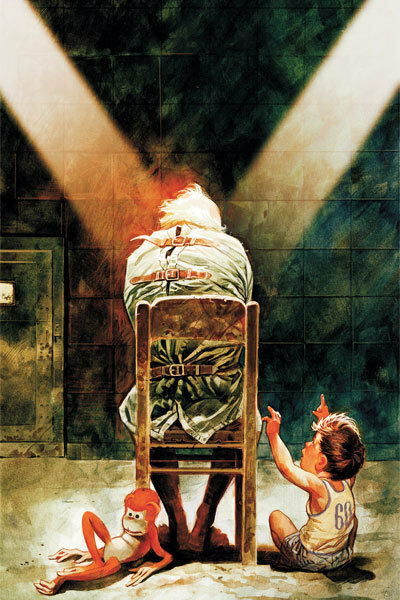 He’s no Alan Moore and he’s no Neil Gaiman (then again, these days Gaiman himself is no Neil Gaiman, it would seem), but his appeal is entirely different from those. In style, and in quality, he’s much closer to Joss Whedon – Vaughan knows how to tell a good story with wit and people it with characters you care about. 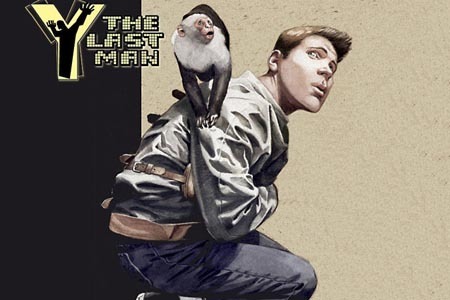 Like most of the Vaughan comics I’ve read, Y: The Last Man is a great example of high concept: the story’s premise is that every male mammal on Earth dies under mysterious circumstances, except for one Yorick Brown, ex-literature major and hobby escape artist, and his monkey Ampersand. However, it isn’t the premise that makes this a fun, exciting, witty ride. The world of Y takes a sketchy starting point and fills it with credible detail. 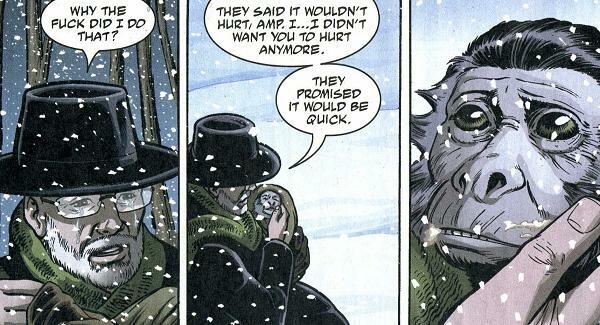 (Well, mostly – I’m still not sure I buy the S/M intervention staged for Yorick in volume 4…) And, just like Whedon at his best, it’s just great fun to listen to his characters. This is one of the comics where much of the action is in the talking – but when there is action, it means something more than the nth installment of Super Guy vs. Evil Dude. There’s perhaps one thing that I dislike a bit about Y, and it’s no coincidence perhaps that Vaughan also writes for the TV series Lost: at times the narrative meanders, goes zig zag. Most detours are fun enough to follow, but like Lost this is a series that at least pretends to have a plan, and just like Lost this pretense isn’t always very convincing. Without a plan, it feels like the story is arbitrary, which weakens the central mysteries and unanswered questions, such as, “What killed all the dudes?”, arguably a bigger question than “What exactly is that Smoke Monster?”. At times, if it wasn’t for the writing and characters, you’d be tempted to say, “So? Where exactly is this going?” I don’t mind some element of making it up as you go along, but arbitrariness is poison for a plot-heavy narrative. And this might out me as the biggest closet case in history (which would come as a surprise to myself, really), but… Why is it that 90% of the women in Y are hot, slim, curvy babes? For once, we can’t blame the comic artist – Pia Guerra, the series’ co-creator and lead penciller, is very much a woman. So, for once, don’t blame us XY types! P.S. 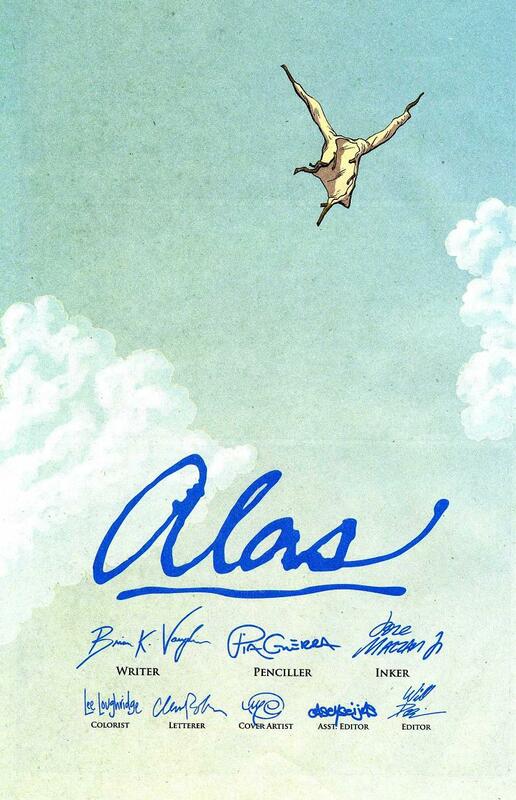 : Other Brian K. Vaughan comics that come with the Goofy Beast Seal of Approval: Runaways, Ex Machina and the one-shot Pride of Baghdad.